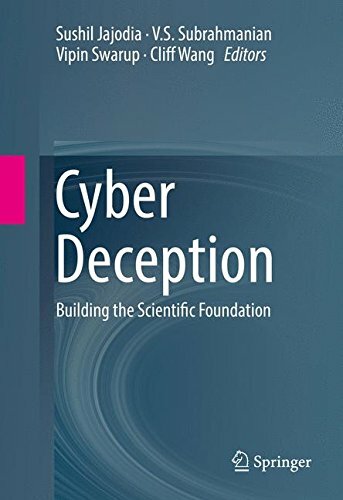 This edited volume features a wide spectrum of the latest computer science research relating to cyber deception. Specifically, it features work from the areas of artificial intelligence, game theory, programming languages, graph theory, and more. The work presented in this book highlights the complex and multi-facted aspects of cyber deception, identifies the new scientific problems that will emerge in the domain as a result of the complexity, and presents novel approaches to these problems. This book can be used as a text for a graduate-level survey/seminar course on cutting-edge computer science research relating to cyber-security, or as a supplemental text for a regular graduate-level course on cyber-security.